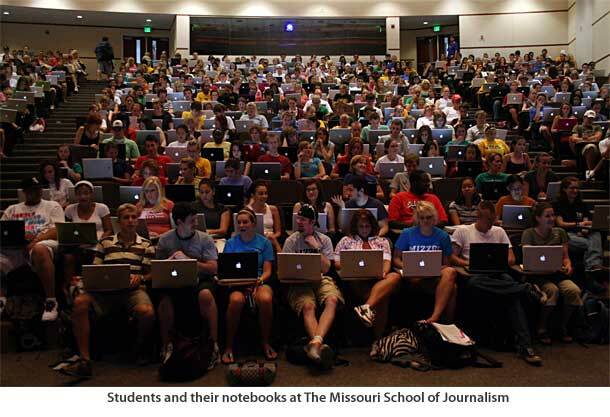 70 percent of college freshman are entering school with Macs, up about 10 percent to 15 percent from a year ago. “Our research is indicating that Microsoft is unable to connect with the new generation of users,” Chowdhry wrote, adding that this could cause problems down the road when these students enter the work force and once again pick Macs over Windows. I hope the raw statistics and research data is released so we can get the precise details, but speaking from experience I can definitely say that Macs and Apple hardware are overwhelming college campuses. Sure you’ll see other computers and electronics around too but a clear majority of people are using at least one of Apple’s signature products, whether it’s a Mac, iPhone, iPod, or iPad. So Apple is pretty much taking over, dominating college campuses, the USA, and reaching to the highest levels of power with President Obama and the White House staff all using Macs and iPads. Amazing. So now you are just hanging on to a “place” in corporate. Ha, love it. Keep in mind that as these students graduate and begin to take corporate positions that have the authority to make decisions, they will move things around to what they’re most comfortable with which will most likely be the machines that they went to college with. ah yes and in no time we are comparing something to hitler, the internet ladies and gentlemen, the internet! You obviously don’t follow political coverage on ABC, NBC, CBS, or CNN. Interesting that only the “haters” can find time to post regarding their false beliefs. That picture was taken ages ago, it’s been floating around the internet for years. that’s a whole lot of ‘thinking differently’. Nice article, Apple marketing people. Nice photo and propaganda hit piece. I remember seeing this back in either 2004 or 2006. The exact same photo. Sure, I would love for Macs to make up the majority and live in a modern day utopia, but wishing is not going to make it so. Macs making up 70% of incoming freshman. Seriously. In this economy. It is simply not logically. To make this story believable, I think we need more then a focus group and their general “feeling and survey” of the situation. What I want is some actually stats. Yes, I can confirm that, at least where I work (University of WI) at LEAST 70 percent of incoming freshman in the fall of 2009 and spring semester of 2010 used a macbook or macbook pro as their primary computer. While speaking with one of the university IT administrators a few days ago, I can tell you that they have seen what he called an “enormous surge” in the Mac to PC ratio. I don’t know, maybe it’s something in the water, but we’ve found that 70% is being conservative. I would be interested to hear if there are any other colleges seeing such surges. In other news, 70% of college freshmen are also idiots. Isn’t that why they’re going to college? Why are they sheep if they use macs, but not sheep if they were all using Windows? They would be sheep either way. I use Linux. If a piece of hardware (Mac) costs three times that of another piece of hardware (PC), but, both offer the same performance, the piece that cost three times as much just has to be better! OK, Macs are for kids. Always have been always will be. Grow up kiddies! Your Mac is NOT better than my PC! And, I can prove it! Ha!